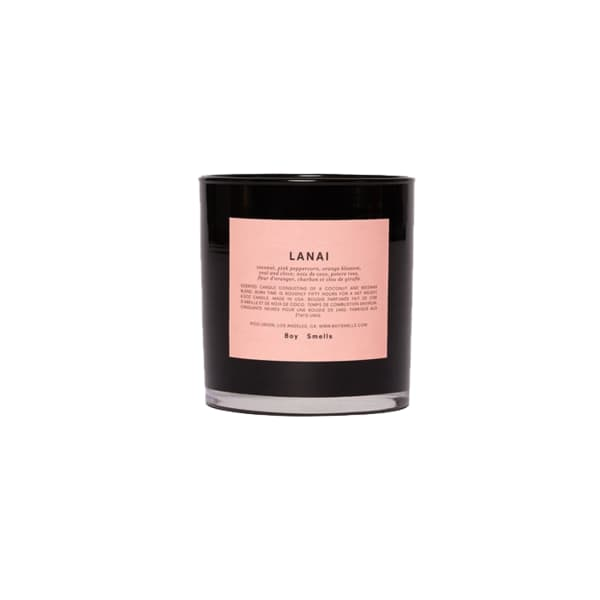 The lanai candle by Boy Smells. Ancient volcanic sands extend right to the edge of sweet tropic foliage in this scent, reminding us of the lush cycle of life, death, and renewal. Return to the island. Scent: coconut, pink peppercorn, orange blossom, coal, and clove.